The joyous festival of the year, Christmas is approaching soon on 25th December 2012. During this festival all malls , churches and most homes are decorated with colorful lights and christmas decorations like bells and christmas stars. Many people decorate beautiful christmas trees at home and at work. Exchanging gifts is very important on this festival, so it’s time to make your loved ones feel special and spread the joy of the festive season . Most commonly on Christmas people gift beautiful decorative candles, festive treats like cakes and chocolates, candies for little ones and decorations for the christmas tree. Electronics, apparels, jewellery, kitchen and home items are also given as gifts to near and dear ones . 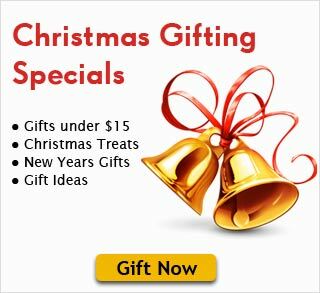 To make your gifting options a bit simpler we have put together a small selection of our christmas special products. Festive holiday hamper for the family , a beautiful decorated christmas tree on a cycle, to elegant diamond pendants for the ladies, candles and tumbler sets for the home, we have it all. There is a gift for every member of the family. So spread cheer all around and be the first ones to send gifts back home this Christmas. ← An OFFER to make your Christmas merrier!